Peder Mannerfelt has been at the forefront of the Swedish electronic scene over the last decade. He’s collaborated under the pseudonym The Subliminal Kid with musicians such as Fever Ray, Blonde Redhead and Glasser and remixed the likes of Massive Attack, Lykke Li and Bat for Lashes. In recent years the prolific artist has released three studio albums as part of the experimental classical duo, Roll The Dice. In 2013 Mannerfelt unveiled a new solo direction under his given name, with EPs Come Closer and Stockholm Recorded via We Can Elude Control. These were followed in 2014 by the succinctly titled I and II as well as a split EP on Stockholm Ltd with label boss Pär Grindvik. 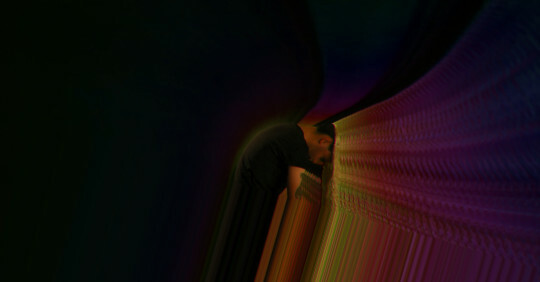 In 2014 Mannerfelt unleashed his debut LP Lines Describing Circles, a ten track album that was met with approbation by the likes of Juno Plus and Fact Magazine. 2014 also witnessed the birth of his label, Peder Mannerfelt Produktion; a channel established by Mannerfelt as a vehicle for his revised production focus, but also as a platform for like-minded artists such as Klara Lewis. In 2015, Archives Intérieures published Mannerfelt’s second full-length recording, The Swedish Congo Record.